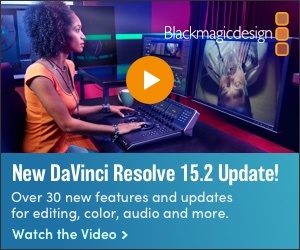 Blackmagic Design's DaVinci Resolve 12 is a powerful toolbox for any creative person. For the better part of a decade Davinci Resolve has been the preferred color-grading tool for users across a wide spectrum, from corporate and industrial applications to feature films and broadcast. It is actually quite more than just a color-grading tool. Recently I had the opportunity to utilize Resolve version 12 for grading the MAKING OF EQUALS, the behind the scenes show produced in conjunction with Ridley Scott’s 2015 futuristic love story, directed by Drake Doremus, and starring Kristen Stewart. The fact that Resolve could be used so extensively for both my network TV documentary and in the realization of the movie itself, attests to the remarkable versatility of the tool. Among its duties on a Singapore soundstage last summer DaVinci Resolve was used quite effectively to adjust, manipulate, and otherwise tweak, the rear projection image across the back of a fifteen meter apartment set. Among its more notable features the NLE offers asymmetrical trimming, useful for simultaneously opening and closing multiple timeline gaps. Resolve 12 is particularly mouse-intensive, relying on contextual menus and cursor location to enable commonly used editorial tools. This may be off-putting for some high-end editors who loathe to remove their fingers from the keyboard. Still, the Resolve keyboard may be custom mapped to mimic FCP and Premiere Pro layouts, so there is some solace there. Of course in many people’s minds Resolve is still associated exclusively with color grading and that is understandable. In version 12, Resolve’s Color Matching capability has been significantly enhanced, and is now much simpler and more efficient. Increasingly many of us are using multiple cameras that capture various flavors of log. Being able to match color across multiple color spaces is imperative, and Resolve 12 facilitates this process immensely by applying color correction on the fly directly from the timeline; and eliminating, if so desired, the need to apply any LUT at all for simple viewing. In other words, once the respective color space(s) are selected for input, timeline, and delivery, the R12 workflow no longer requires the application of a LUT for color matching purposes. Resolve’s color grading capabilities are world-class and only getting better in the latest incarnation. The keyer now requires only a single stroke to define a matte in green screen composites. With the 3D tracker and color matching this can greatly facilitate the coordination of foreground and background elements. Pretty much every digitally captured production these days requires some degree of color grading and correction. DaVinci Resolve for all its many new attributes continues to expertly fill that need. Resolve uses software to accomplish this, applying different color spaces in real-time during normal playback, which is one reason a fast CPU with adequate RAM is required to satisfactorily run the updated program. It is also worth noting that changes to color space and clips can be applied globally to entire bins at once. Ditto for 1D and 3D LUTs, which may be applied in a similar manner. From a broadcaster’s perspective Resolve 12 is also a very efficient conforming tool, offering excellent file handling and media management capability, meaning it plays well with tight deadlines. As an experienced cinematographer and DI operator I know from hard-won experience that conforming snafus can sometimes consume up to half the available post-production time and budget. Resolve’s vast metadata support can literally save thousands of dollars on a typical dramatic television production or commercial. DaVinci Resolve 12 offers broad support for the most popular 3rd party plug-ins like Magic Bullet. I can recall in the DI room several years ago working on a Harry Potter theatrical trailer and facing 120 variations of the same scene and no one could say with certainty which version the director had actually approved! 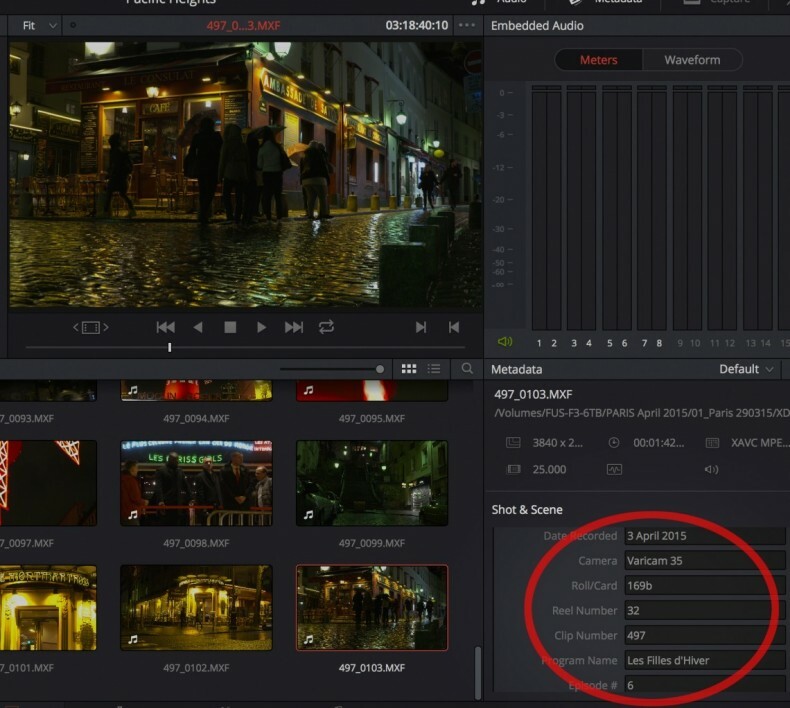 Resolve 12 can streamline the finishing process considerably, by sorting out and identifying good takes for example, and contribute to a more efficient search function in a station’s archive. This is no small matter! For broadcasters, especially in Asia, Resolve 12’s support for Long GOP formats like Panasonic’s LongG is a most welcome feature. Resolve 12 features a revamped user interface with an integrated NLE and open timeline supporting a wide range of frame rates, formats, and resolutions. Unusual among the even most popular NLE platforms, Resolve 12 supports direct playback of all major camera formats including the increasingly popular (especially in Asia) the long GOP formats like Panasonic’s LongG. This flexibility may come at a price for some broadcast facilities, but not necessarily in dollars. The LITE version of Resolve, is remarkably (still) a free download; BMD recommends however a minimum of 16GB of RAM to take full advantage of Resolve’s expanded capabilities. One notable new feature in Resolve 12 is the manner of proxy creation. In prior versions of the software it was necessary to create a dedicated timeline in order to produce working proxies for smooth operation and playback on the timeline. Now that process of proxy creation is relegated to the background and all but invisible to the user via the Optimize Media function. 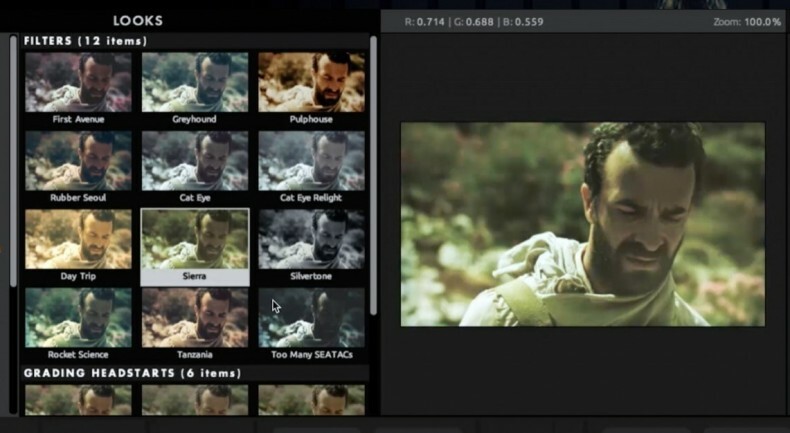 Metadata support inside Resolve is extensive, and should serve as a model for the industry. For broadcasters, such organization is the key to managing the overload of files we face each shooting day. The process and playback resolution of proxies can be preconfigured or dynamically controlled via the Choose Automatically command. To facilitate color grading where a full-resolution image is usually required the Optimize Media function may be disabled with a simple click. And lest we forget to disable Optimize Media prior to outputting a project Resolve 12 will do it for us automatically and revert to full resolution. 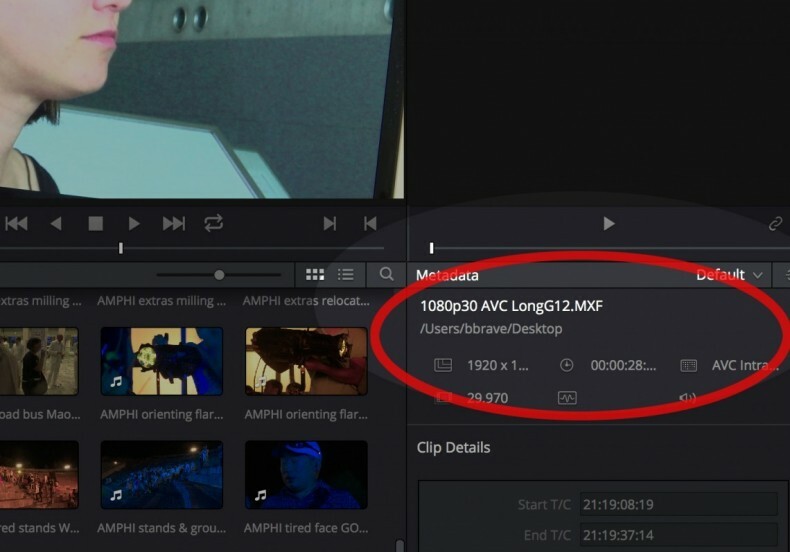 As a sidebar, some Resolve users pulling files from a DVD or Blu-ray disc may want to use the Optimize Media feature to uprez their footage from 8-bit to 10-bit. 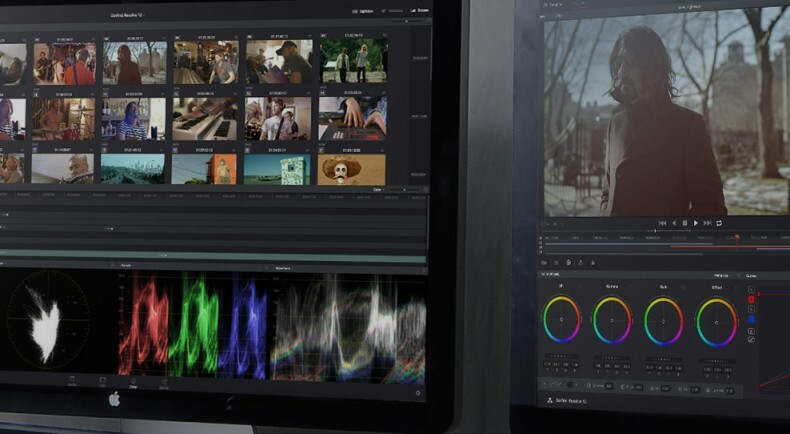 Resolve 12 is flexible enough to handle a wide range of workflows, indeed, it’s file handling may well be the most accommodating of any post-production tool currently on the market. The Media Management capabilities inside R12 have also been improved. A simple COPY command moves a project in its entirety to an alternative workstation. A one-click MOVE command transfers a timeline (or timelines) to a backup computer. If moving across a server this latter operation requires Resolve 12 Studio, i.e. the $995 paid version. Which brings up another compelling point. Resolve Studio is scalable and supports multiple GPUs working in concert to take full advantage of the latest computer hardware like the MacPro tower. Resolve 12 Studio allows for up to 8 GPUs to be linked, allowing the offloading of output and rendering loads to other Resolve stations. For most broadcasters Resolve 12’s integrated audio editor is insufficient. Despite a few nifty features like a Touch function that allows setting key frames on the fly, it does not offer a noise print reduction function, for example, or the ability to record a live narration. Most facilities will want to output sequences and clips to a more capable audio editing tool like ProTools. Currently there is no simple SEND TO function to Apple Logic. Resolve 12 aims to be the universal tool that can do it all, from NLE and color grader, to compositor, 3D editor, and media manager. While most broadcasters will appreciate the convenience and time savings of being able to work exclusively inside a single application for an entire project. some producers especially those who tend to rely heavily on audio will be understandably disappointed by the rather primitive and rudimentary audio editor. These folks will almost certainly want to continue using ProTools or other dedicated more capable sound editor. Fortunately Resolve 12 makes the round-tripping process easy via a one-click SEND TO function to popular third-party programs like Pro Tools via AAF. 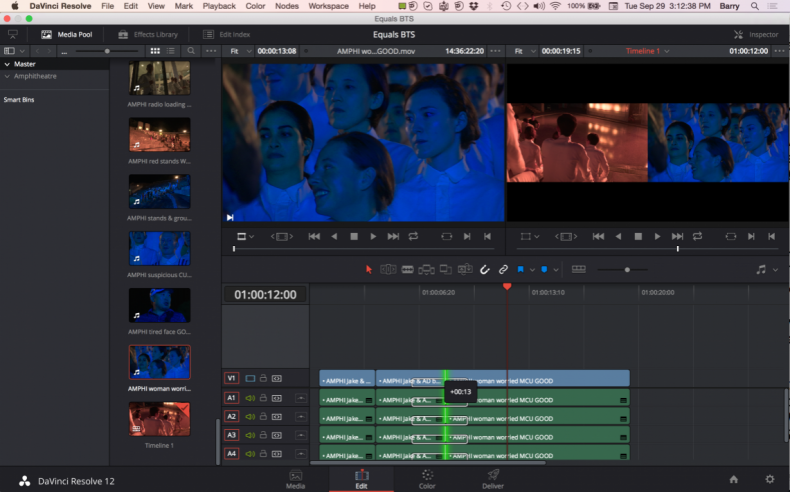 Other popular editing platforms like Apple Final Cut Pro X and Avid Media Composer are also supported via XML export albeit less elegantly especially in the case of Premiere Pro. Although far from ideal, constructing a timeline of straight cuts and then exporting it via XML, will ensure maximum compatibility across the broadest range of post-production and finishing tools. As a media professional I am often asked what’s the best software for a particular job. My simple answer is: It’s the one we’re most likely to use, which is the one right in front of us. Sure we may have more powerful tools at our disposal but if they’re too inconvenient or time-consuming to access we’re unlikely to take advantage of them regardless of their feature sets and awe-inspiring power. Thus is the strength of DaVinci Resolve 12 as a universal tool. 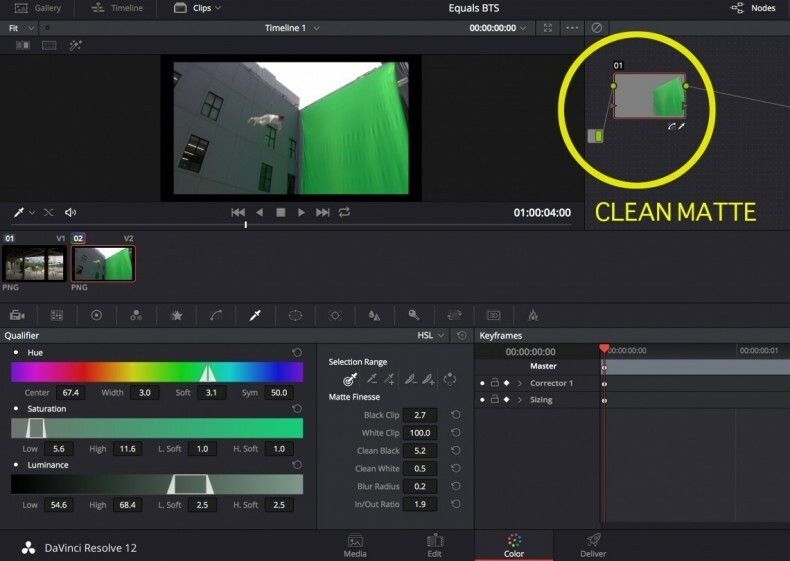 Many of us are already using Resolve for color grading, so wouldn’t it be ideal and extremely convenient to stay within one tool from soup to nuts, from ingestion and editorial through output to a broad range of formats? With the introduction of Resolve 12 we can do precisely that. It cannot accomplish with absolute confidence every function like our most powerful dedicated tools - but it’s sure a step in the right direction.